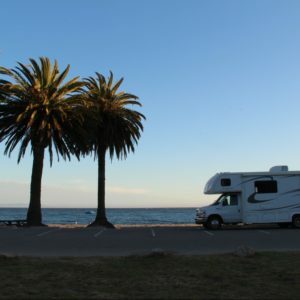 El Monte RV purchases our motor homes from the highest rated manufactures in the business: Coachmen, Fleetwood, Thor, Winnebago, and are purchased off their retail line, there isn’t any difference in our motor homes and one from another retail dealer except in the Huge Savings to you. We do add upgrades; like a second battery, outside shower, heavy duty faucets, fantastic fan vents in the kitchen area plus a stove. So when you’re out camping no one will know you purchased a previous rv rental vehicle until you tell them. When you inform them how much money you saved and they see your near new reconditioned motor home that looks like it was delivered from the factory, they’ll be amazed, when your new RV friends leave look in the mirror and see the smile on your face and say Thank You El Monte RV for helping us achieve our dream of the RV Lifestyle. You can call us at 1-800-337-1628 if you’d like to speak to one of our motorhome sales staff members. We’ll be happy to answer any questions you may have or assist you in your search for the motorhome for sale that is perfect for you and your family.